Love these shoes. I waited for 1 month but it was worth it. My friends have complimented me and are also interested in purchasing these shoes for themselves. I also bought one for my 11 year old daughter who loves it. Love these shoes. I waited for 1 month but it was worth it. My friends have complimented me and are also interested in purchasing these shoes for themselves. I also bought one for my 11 year old daughter who loves it. Dear customer, Thanks a lot for posting your valuable experience for our Customers. Were gratified to see that you love this item. If you think thats okay, you may share your valuable feedback with your friends. That would be so kind of you. Welcome to shopping with us again! Dear customer, Thanks a lot for posting your valuable experience for our Customers. Were gratified to see that you love this item. If you think thats okay, you may share your valuable feedback with your friends. That would be so kind of you. Muy bonito! estamos muy contentos de que generosamente haya subido su foto y la haya compartido con otros clientes. Será muy útil para otros clientes revisar los productos. Gracias de nuevo por tomarse el tiempo para hacerlo, realmente apreciamos eso. Muy bonito! estamos muy contentos de que generosamente haya subido su foto y la haya compartido con otros clientes. Será muy útil para otros clientes revisar los productos. Gracias de nuevo por tomarse el tiempo para hacerlo, realmente apreciamos eso. Contenta...Mi pedido llegó en la fecha Y en perfectas condiciones, muchas gracias. Contenta...Mi pedido llegó en la fecha Y en perfectas condiciones, muchas gracias. Estimado cliente, estamos muy contentos de cargar la foto y compartirla con otros clientes. Será muy útil para otros clientes revisar los productos. Gracias de nuevo por tomarse el tiempo para hacerlo, es realmente appriciated. Estimado cliente, estamos muy contentos de cargar la foto y compartirla con otros clientes. Será muy útil para otros clientes revisar los productos. Gracias de nuevo por tomarse el tiempo para hacerlo, es realmente appriciated. Le pied est vraiment bien tenu en place dans la chaussure. Excellent produit. לקוחות יקרים, אנו שמחים מאוד שהעליתם בנדיבות את התמונה שלכם ושיתפתם עם לקוחות אחרים. זה יהיה מאוד מועיל עבור לקוחות אחרים כדי לסקור את המוצרים. שוב תודה על שהקדשת זמן לעשות את זה, אנחנו באמת מעריכים את זה. לקוחות יקרים, אנו שמחים מאוד שהעליתם בנדיבות את התמונה שלכם ושיתפתם עם לקוחות אחרים. זה יהיה מאוד מועיל עבור לקוחות אחרים כדי לסקור את המוצרים. שוב תודה על שהקדשת זמן לעשות את זה, אנחנו באמת מעריכים את זה. Dear sharonlinjiaxin, thank you for shopping here and sharing your real photo with us! Wow, the sandals looks really stunning on your photo! The most important is, the price of them are also unbeatable! Absolutely worth the price!It will be very delightful and thankful, if you can share your pleasant shopping experience with your friends. Besides shoes, there are also lots of beautiful clothing and bags at amazing price on our website. Regularly take a look at our website, you will find more fantastic products! Enjoy shopping here! Dear sharonlinjiaxin, thank you for shopping here and sharing your real photo with us! Wow, the sandals looks really stunning on your photo! The most important is, the price of them are also unbeatable! Absolutely worth the price!It will be very delightful and thankful, if you can share your pleasant shopping experience with your friends. 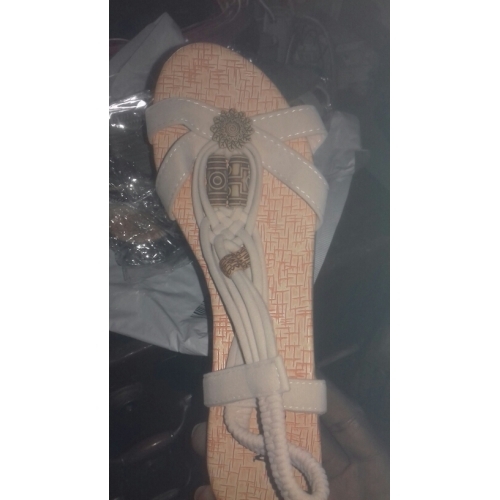 Nice sandals recieved in good condition very comfortable all the way from Nigeria. 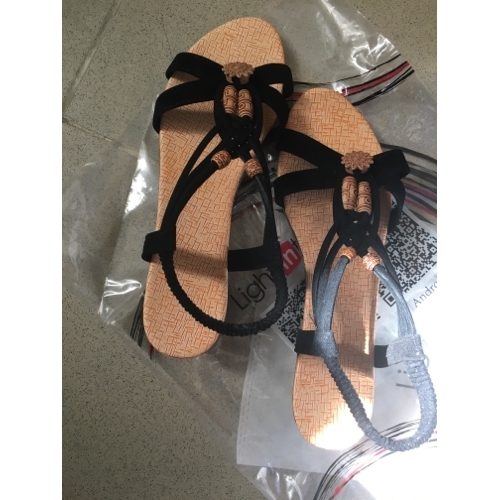 Nice sandals recieved in good condition very comfortable all the way from Nigeria. We are so glad to get a review from Nigeria. We ship over 200 countries worldwide. Welcome again to shop with us. We are so glad to get a review from Nigeria. We ship over 200 countries worldwide. Welcome again to shop with us. Ordered the black. Look just like the picture. I usually wear size 5 US so I ordered US 5.5/CN 35. Fit perfectly. The sandals feel soft and light. Fast shipping. Received in 10 days. Ordered the black. Look just like the picture. I usually wear size 5 US so I ordered US 5.5/CN 35. Fit perfectly. The sandals feel soft and light. Fast shipping. Received in 10 days. Dear NR, thank you for shopping here and sharing the photo with us! The shoes are so stylish and fashion on your photo! They are very beautiful and comfortable in summer! Nice choice! Welcome to shop with us again! Have a good day! Dear NR, thank you for shopping here and sharing the photo with us! The shoes are so stylish and fashion on your photo! They are very beautiful and comfortable in summer! Nice choice! Welcome to shop with us again! Have a good day! Πολύ ωραία.Όπως ακριβώς και στη φωτογραφία. Πολύ ωραία.Όπως ακριβώς και στη φωτογραφία.